Liberty Screening is a service organization. Our expectations are to provide you with the best process to receive our services in an efficient, fair and cost-effective manner. 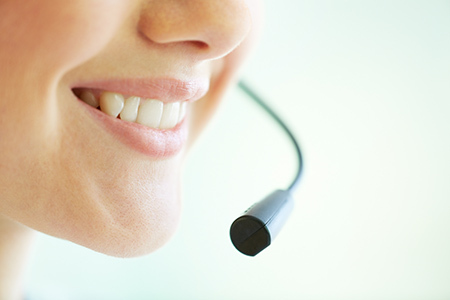 To some, customer service means to provide problem-solving solutions in an expedient manner. Liberty believes customer service extends beyond this narrow description into all aspects of delivery of our products and services. Quick Resolution – our One-Call, First-Call™ program of customer service ensures you reach a live representative on the first call. No phone trees, endless menus, or automated agents. Liberty’s representatives direct your call to your dedicated Help Desk team to answer your question the moment after you pick up the phone. Transparency – you will know, by line item, exactly what services were processed on your applicants and the total cost of those services. On-demand management reports provide you with the information you need to evaluate our service capabilities. Easy Solutions – your staff, on any given day, may not have the time to check into websites for results or learn to navigate the use of new software. Liberty provides real-time email notifications to keep you on the go and on-demand training, free of charge. Based in the U.S.A. – Liberty does not outsource any aspect of our services. You will reach representatives based in the United States during regular hours of operation across the U.S.